Drive to Paseky nad Jizerou. Lunch. Then a first round of cross country. Temperatures above the freezing point but still perfect snow. Skating about 90% of the way. Nothing hard. I haven’t run a lot from home lately. I have been doing my Saturday running session together with the girls, and that means running from the rowing club. Today, the girls go to Olomouc for erg/lactate testing, so I was free to do what I wanted. I chose to run my “traditional” 12k loop. Somebody created a “two season” picture of the little pond next to the old railway station of Jehnice. I like it a lot, and it kind of illustrates why I love running in this area. There are short (but sometimes very steep) climbs, there are ponds and brooks. There are fresh water springs. It’s really a nice place to run. 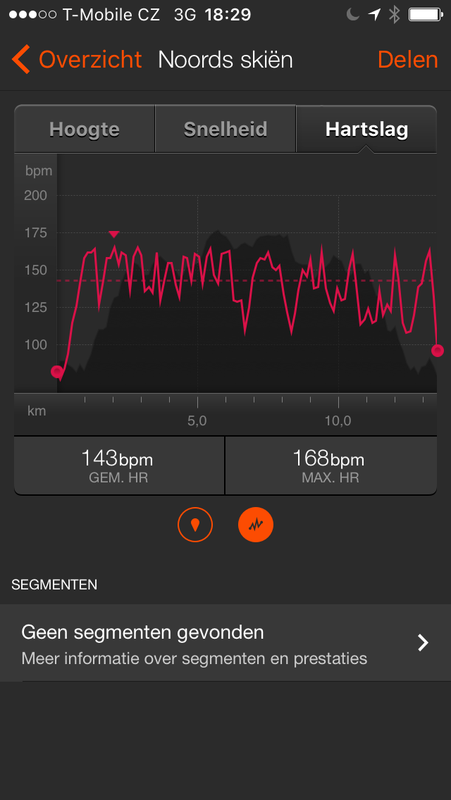 I have no heart rate data today, because I forgot to “pair” it with the Garmin, after having unpaired it last week. According to Strava, I have done this loop 15 times, but the last time I did it was in September. My fastest ever time was 57:40 (March 2014). Today’s effort was 1:00:14. Not bad. The day started in an interesting way. I woke up at three, and couldn’t fall asleep again. Some work related issues, and such. Drove to work early. Control light on dashboard alerted me that my headlight needed replacement. Fine. I wanted to test that new Volvo shop in town anyway. This would be a nice simple thing, to check them out, and casually get a quote on some bigger repairs that I need to do. The friendly head mechanic took my car keys and promised to change the bulb in 10 minutes. I waited 30 minutes. He came back to apologize. The light wouldn’t work. They were checking the cabling. Had already tried exchanging the left and right bulbs and other parts. 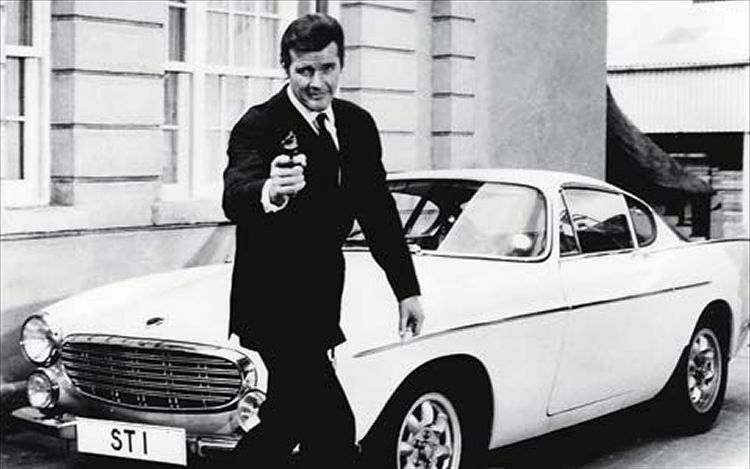 I agreed to leave the car there and they gave me a lift to work. Again, I casually mentioned the planned repairs and that I was interested in a quote. A busy day at work. Lots of meetings. I didn’t drink enough water and too much coffee. End of the day I called the shop. They apologized lengthily, saying that it was a mystery. The mechanic had spent the entire day trying to figure out what was wrong, but couldn’t find the culprit. I need the car repaired soon. Should I pick it up and drive to the competition? Decided to give them one more day. See how they cope. I hope my car is not a training project for an unexperienced mechanic. The session was the dreaded 3km/2.5km/2km waterfall. I have mixed results on this one. The door in my erg room has a record of a 1:51.0 average on slides (and on the rowing club, with people walking around behind my erg). The last session (this fall) was a 1:52.9 average. Decided to go for improving that. An “uninspired, grumpy Monday” approach to the session. Averages were 248W/249W/250W for the 3000/2500/2000m respectively. That boils down to a 1:52.0 average (according to the PM) and a 1:51.9 average according to my spreadsheet. It was hard work, but it wasn’t impossible. I think about this session as a “longish 6k with breaks” so I kept telling myself that pulling 1:52 was slower than my recent 6k. That helped me through the hard parts. The plan was to do some running training. This was a work day at the club. At 9, a few members would take our new dock out of storage. Then there would be a window of two hours during which there would be some preparation work for only a few people, and then we would be building our dock. It turned out differently. The turn-up was so high, that it actually made sense to do some garden work in the “forest” behind our club house. So we cleaned up plastic bottles, cigarette packs, and other junk that people throw over our fence, then collected dead wood and leaves. That turned out to be a two hour quite physically heavy exercise. Sort of a very long circuit training. Raking the leaves on piles. Putting the leaves in big bags. Hauling the bags around the club house, empty the big bag on a big pile. Start again. The two hours training window was filled with this exercise. At least we got our job done. The work proceeded amazingly quick. Last week, we have built two concrete “cubes” for the ramps. As we approach our water from a very steep hill, we had to build ramps leading to the dock. Because we are on reservoir with varying water levels (winter level being 6 to 10 meters lower than summer levels, and plus or minus one meter easily during the rowing season), the entire design had to allow for the different water levels. The way this was designed left very tolerance for misplacement of the ramps. Luckily, everything turned out to fit with millimeter precision. Now we only have to wait for the water level to rise. From Friday to Saturday, we measured a 40cm rise. We have another 3m to go. That meant we could build the dock with dry feet, but we have to wait one or two weeks to start using it. I guess we wish for rainy weather. The dock is now resting on pillars which we built from old car tyres. I am so much looking forward to rowing from a normal, low dock. Our old one was a horrible steel and barrels construction that scratched boats, and was way too high for launching a single. A 3x20min on the erg. 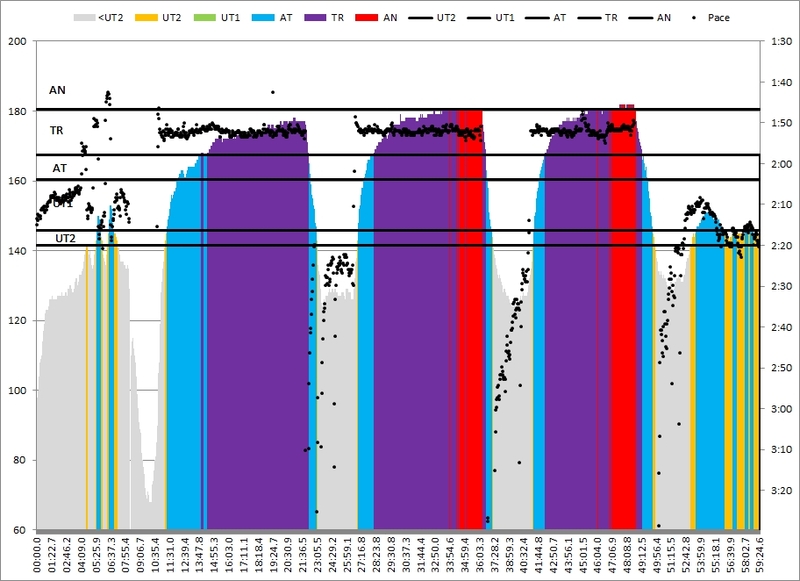 I had planned for a 4x20min session, but I measured 1.9 mmol/L after 3x20min at 195W, so I called it a day. It’s supposed to be a light week. 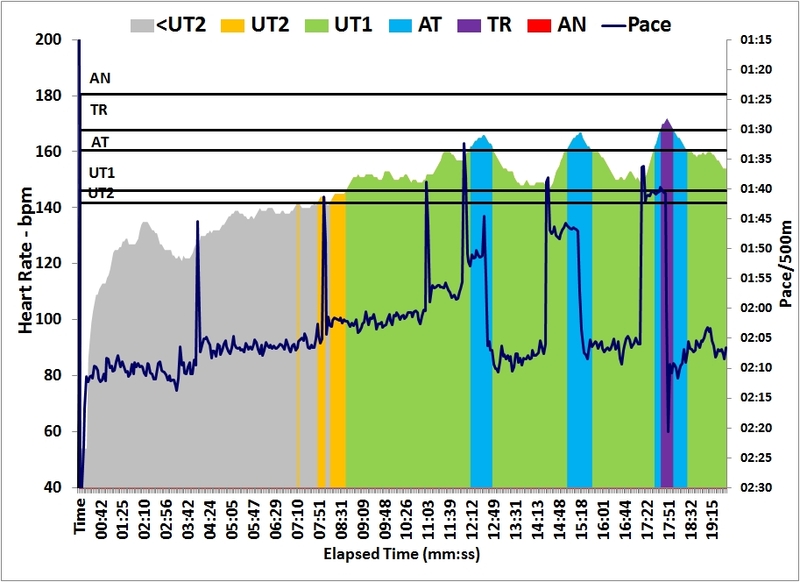 Funnily, until the start of the third interval, I had the feeling I was OK and would do 4 intervals. 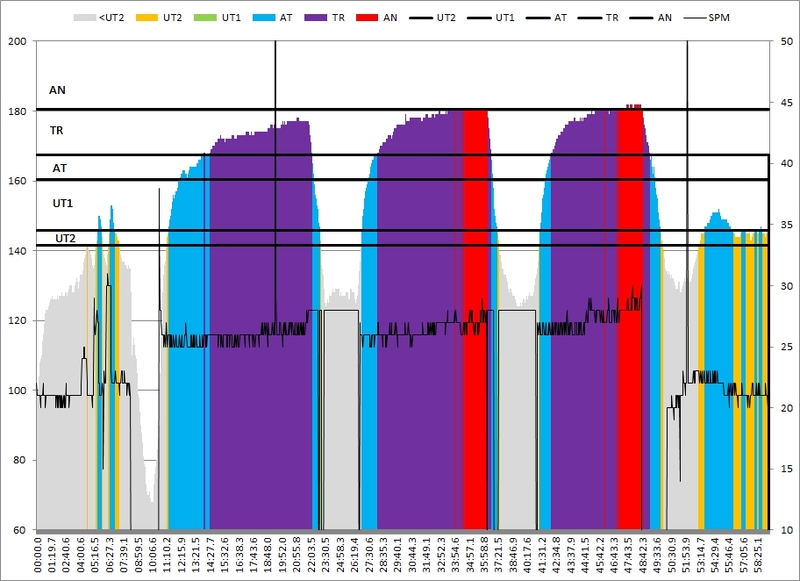 Then, in the beginning of the third interval, I had difficulty holding 195-200W without going to too high perceived effort. That improved during the interval, but resulted in the mentioned relatively high lactate level (my target is to be between 1.2 and 1.5 for these sessions). Here’s my training plan. At the top you can see the dates. 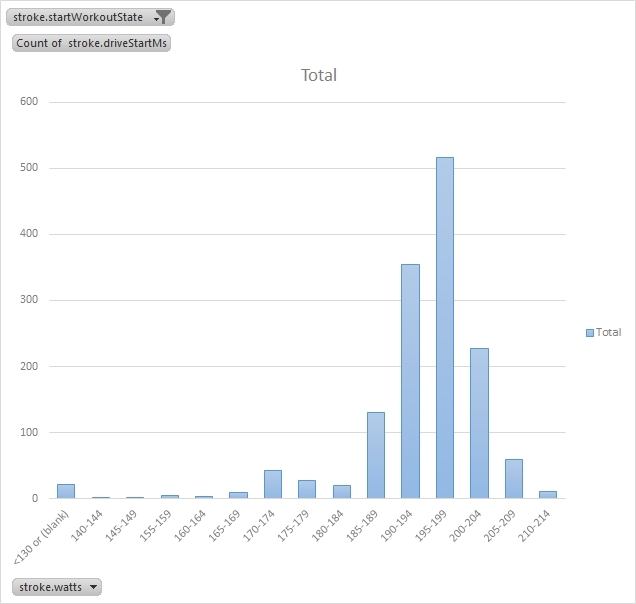 Then a the macro and meso cycle (numbered in roman numbers), then a crude bar chart indicating training volume in hours per week. The area with the different numbers refers to the number of sessions of different training types. 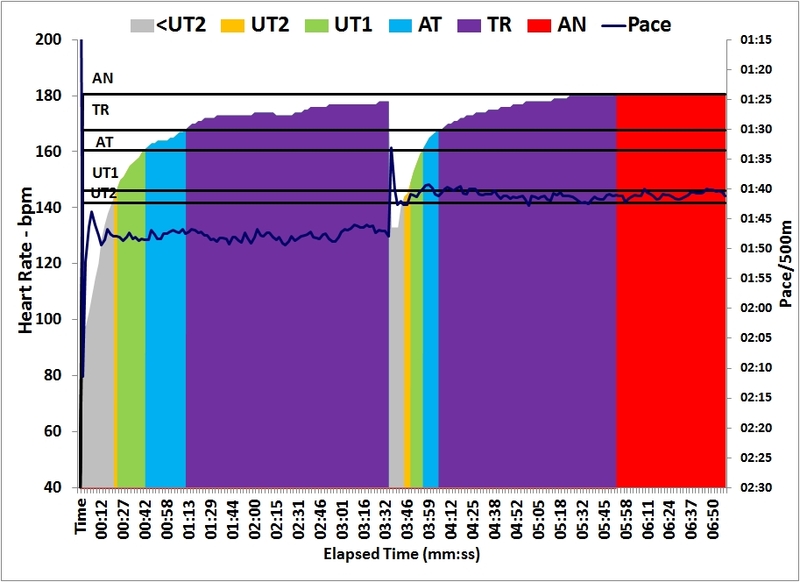 Finally there is a row with races, and at the bottom the tests and PB attempts. Training plan detail. 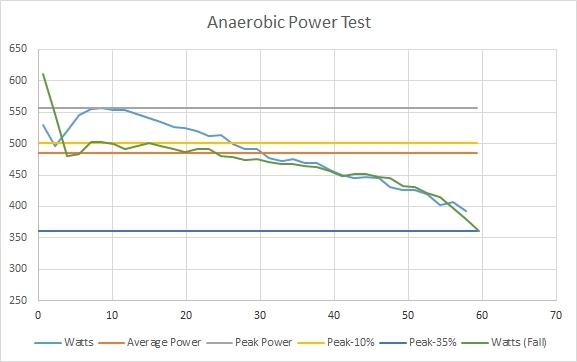 From top to bottom date, meso cycle, training volume, training type, tests. Then, early December I did the 2 speed Lactate test. This week I am repeating the 6k and 1 minute test. Next week, the 2k and the 2 speed test. 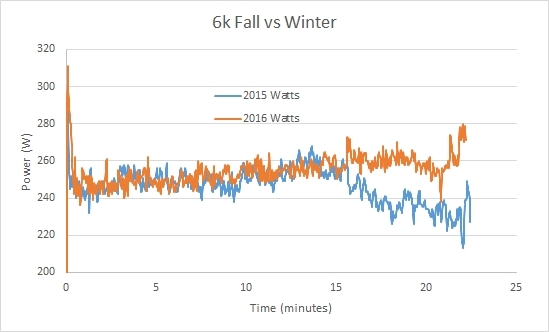 This 6k test is an indicator of how I come out of winter training, endurance wise. 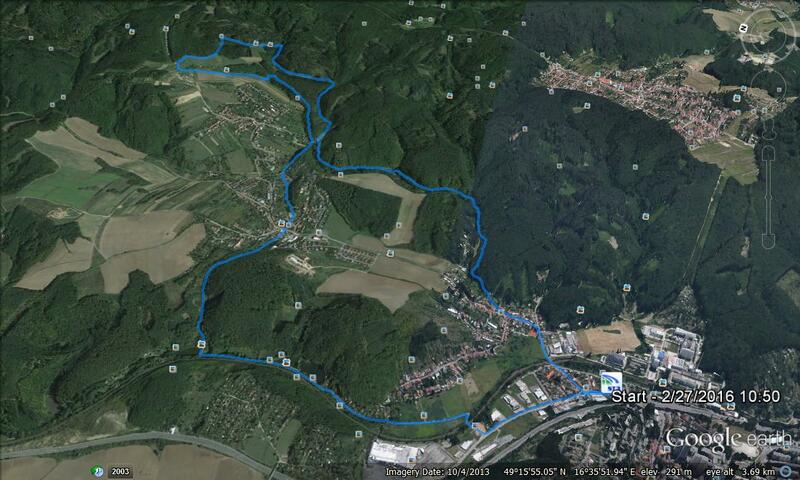 Also, the next to mesocycles will aim at improving my 6k, culminating in the Hořín head race over 6k on April 9. That’s when you need to be on top of your game mentally. You have to continue pulling the paces you were supposed to pull, until you can start sprinting. That’s when the hard part is over. Today, it had to be different. Unfortunately, I had a difficult night. Went to bed at 11pm. Something woke me up at midnight. Then something woke me up at 3am. I don’t know about other people in my age, but to me waking up at 3am is the worst scenario. I have real difficulty falling asleep again, usually falling asleep at 5am. Then, the alarm clock at 6 is very cruel, leaving you feeling lousy for the rest of the day. On top of that it’s the period of the year when we have to do performance discussions. Luckily, I have been able to build a well performing team, so for me this shouldn’t be so stressful this year. Still, it is draining. Luckily, I was able to stop early and row this row at 3:30pm, an ideal time between meals. Did a 2k with speed bursts. Started my favourite rowing SoundCloud playlist, and set up a few pace boats in RowPro. My row from November, a 2014 row which was a PB back then, and a 1:51.2 quick pace boat, which turned out to be quite prophetic. In November, I rowed a 22:28.3, and my heart rate was in the red from 10 minutes into the row (average 177 bpm). Today, I rowed a (personal best) 22:13, and my average heart rate was 2 beats lower. 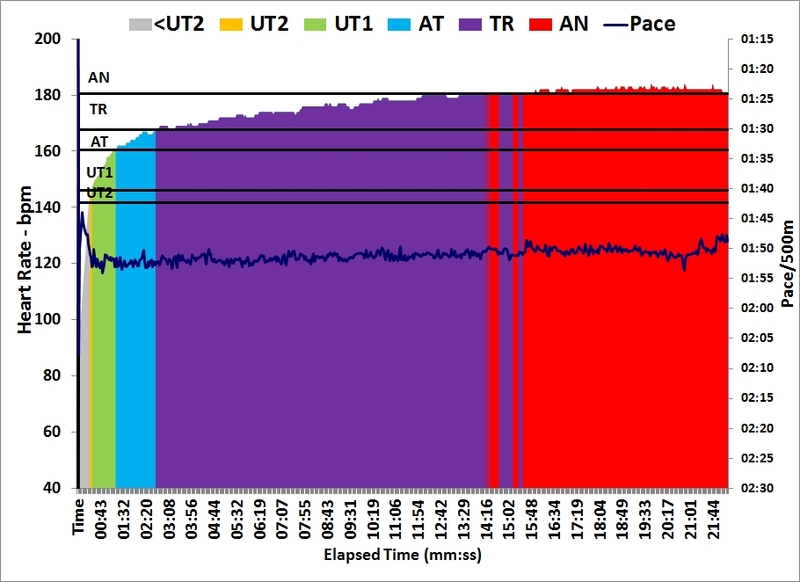 The fall row was also after a long working day, so I am not sure if the graphs show an improvement in endurance or an improvement in mental fitness. I tend to believe it’s the former. My PB calculator tells me I should be able to row around (or slightly under) 22:10. I believe that. In the coming 6 weeks I shall improve my 6k performance, OTW and OTE. I may sneek in a 6k hard distance training session just to see if I can do it. Tomorrow will be a work day at the rowing club. We need all our “strong men”, and then a few weak lightweights like myself to build our new dock. Very exciting. That doesn’t mean I will go OTW from tomorrow on. There will still be some work to do on the dock after tomorrow. For now, I will celebrate a PB improvement from 22:19.4 to 22:13.1. More than 6 seconds! Flight to Brussels. Sit in hotel room to prepare meeting. No training. Rest day. Before work, I spent an hour in the hotel fitness. A thought crossed my mind: How many marathons have I run on these two treadmills in this particular hotel? Difficult to estimate. I ran for 20 minutes, then did a 40 minute strength session, partly exercise machine, partly body weight. Tough negotiations at which I cannot say anything. Except perhaps that I personally managed to stall the negotiations for 4 hours. I won’t say what I think about the outcome. Mystery, mystery. Dinner in Brussels with my sister. We had a good time. Up at 4AM to catch the flight home. A long day. The targets are from the “Rowing Faster” book and are an age-corrected range for lightweight male rowers. Still at the bottom of the range. 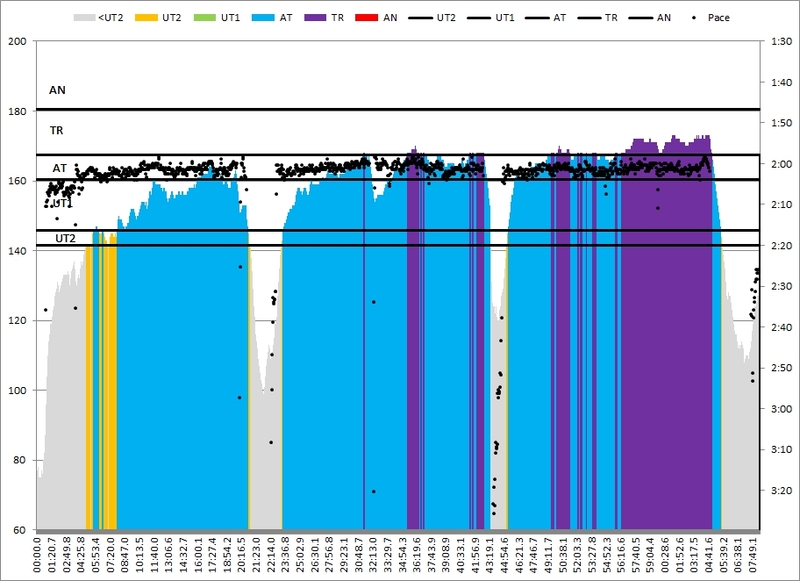 Somehow my “peak power” has decreased, although I think it is more an artifact of the November test, where I basically hit 611 W in the first stroke and then dropped to 550W in the next stroke. Today, I started low (500W and then brought it up to 550 and held it for ten strokes. After about 30 seconds the two curves are suspiciously close. One could even call them “identical”. 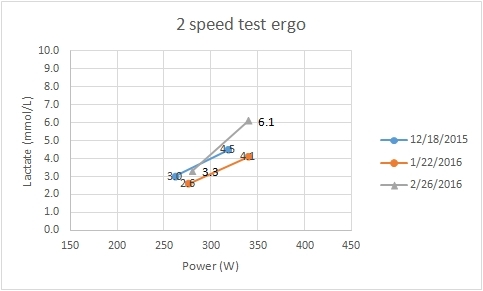 Improved the average power by 17W. Not sure how significant that is. The drop off times and value are influenced quite a lot by the peak power. Perhaps I did the test wrong today. Not sure. 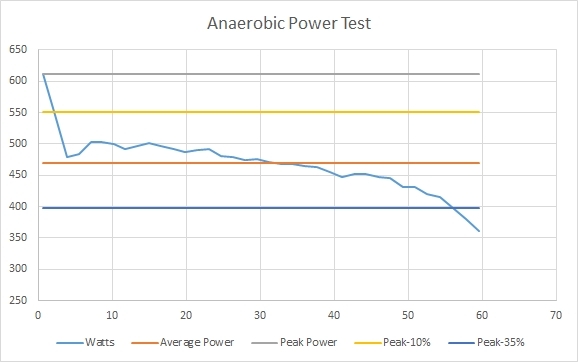 Looking purely at the graphs, I think I should conclude I am slightly better in terms of “average power over first 10 seconds” and the overall level of the curve is significantly higher in the first 30 seconds. Next test for this week: A full out 6K. Should be a PB attempt.